The PMP10449 offers a high power desnity solution, able to deliver up to 20A. This, coupled with over 93% peak efficiency, makes this solution optimal for communications or enterprise switcing applications. 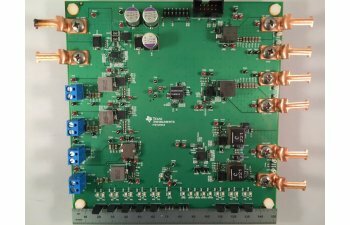 The TPS53355 Inductor-On-Top step-down buck converter design enables high power density through reduction of X-Y PCB area and results in >86% efficiency with only 1.8W of power loss and 6mV of output voltage ripple requiring only 5x100uF ceramic output caps.